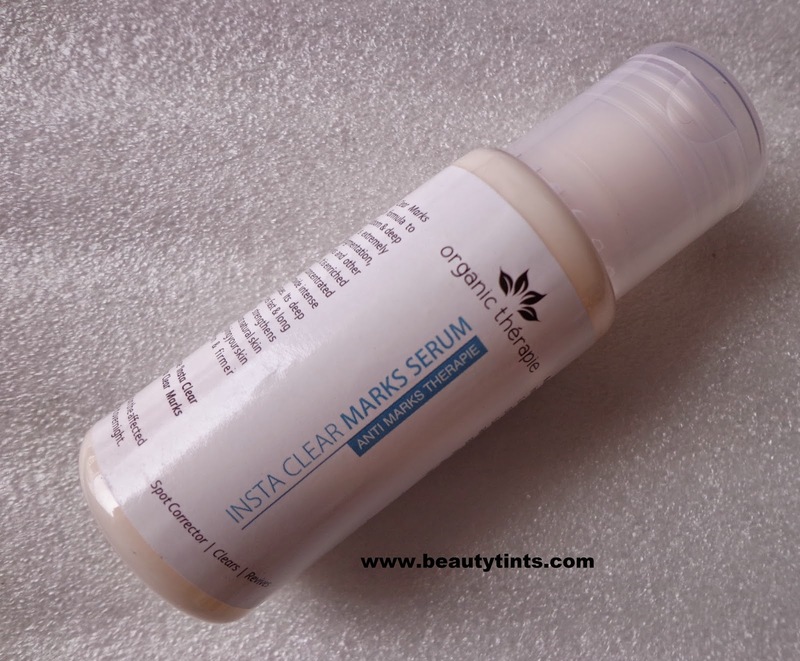 If you are following my blog regularly,then you would be knowing about the current giveaway in which 2 winners will be receiving special skin care products from organic therapie.You can participate here.Today I am reviewing the Insta Clear Marks Serum which I received along with Insta Clear Marks Clay which I reviewed here. 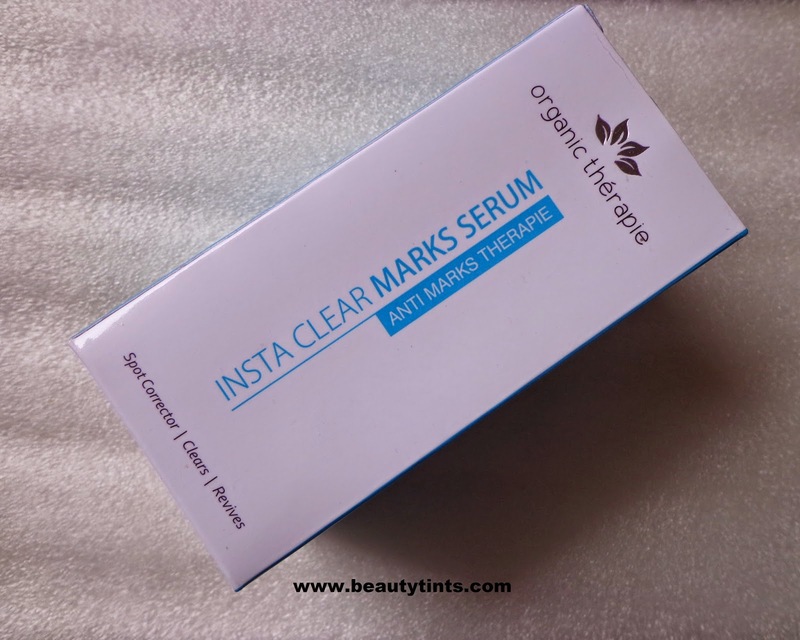 Packaging : It comes in a cute little transparent bottle with a flip cap with in a white and blue colored carton similar to other products in insta clear marks range. Color and Texture : This is a white colored liquid which is smooth with a medium consistency,which gets absorbed quickly into the skin. 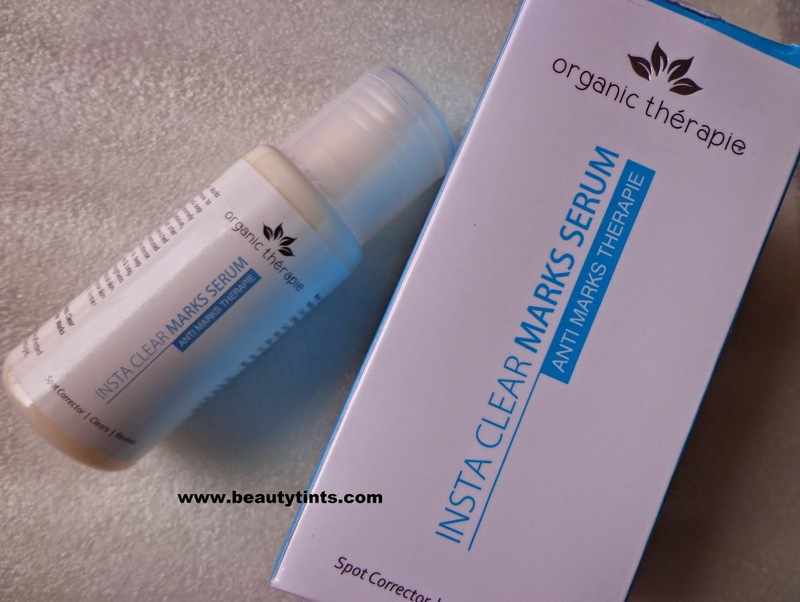 What the Product Claims : Organic Therapie Insta Clear Marks Serum is a breakthrough formula to reduce even the most stubborn & deep seated discoloration. It is extremely effective for blemishes & pigmentation, stretch marks, acne marks and other severe skin discolorations. It is enriched with essential oils and concentrated nourishing ingredients to provide intense repair for damaged tissues. 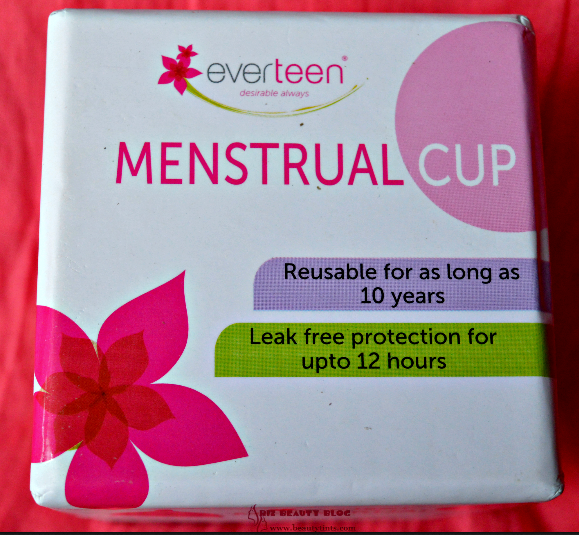 Its deep penetrating action ensures the fast & long lasting results. It also strengthens connective tissues to boost natural skin toning process, thereby giving your skin a clearer complexion & firmer appearance. 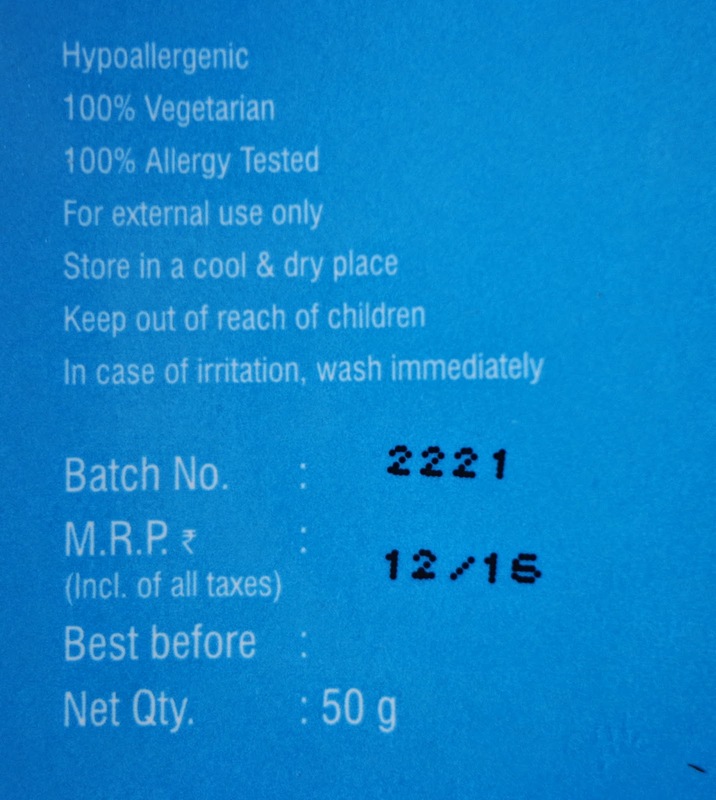 For best results, also use 'Insta Clear Marks Creme' & 'Insta Clear Marks Clay'. 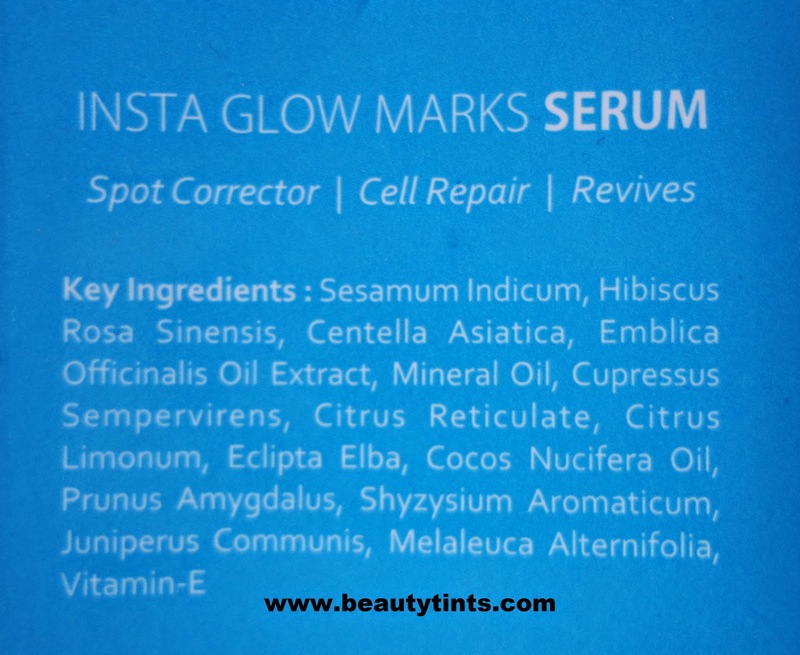 Spot Corrector Clears Revives. 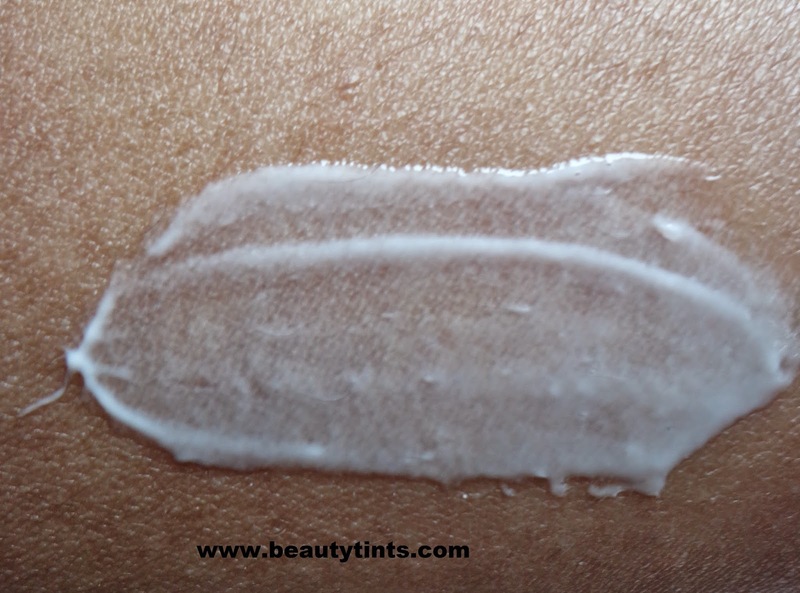 Usage : Apply few drops on the affected areas.Rub it in and leave it overnight. My View On Organic Therapie Insta Marks Serum : I have been using this serum from past 2-3 weeks regularly during the night on the affected parts and this can be used even on the entire face as a normal serum .It is a light weight, white colored lotion kind of serum which spreads easily on skin and gets absorbed into the skin very quickly and completely.It has a very mild floral fragrance.It does not make skin oily or greasy and suits oily-combination skin well.It hydrates the skin well and makes it bright on continuous usage for atleast 2 weeks.It helps in lightening the spots but you need to apply generous amount of it on the dark spots.It needs some more time to show the results properly.It contains the goodness of til, hibiscus, amla, coconut, citrus,vitamin E etc.,It is hypo-allergic,vegan and paraben free. 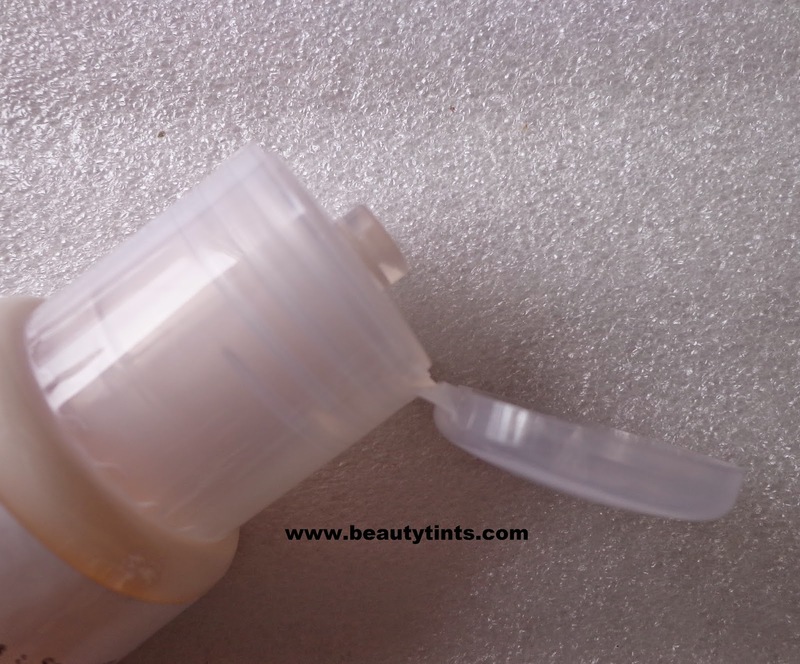 so, it suits sensitive skin too.It is very affordable and the portable bottle is super easy to carry around. 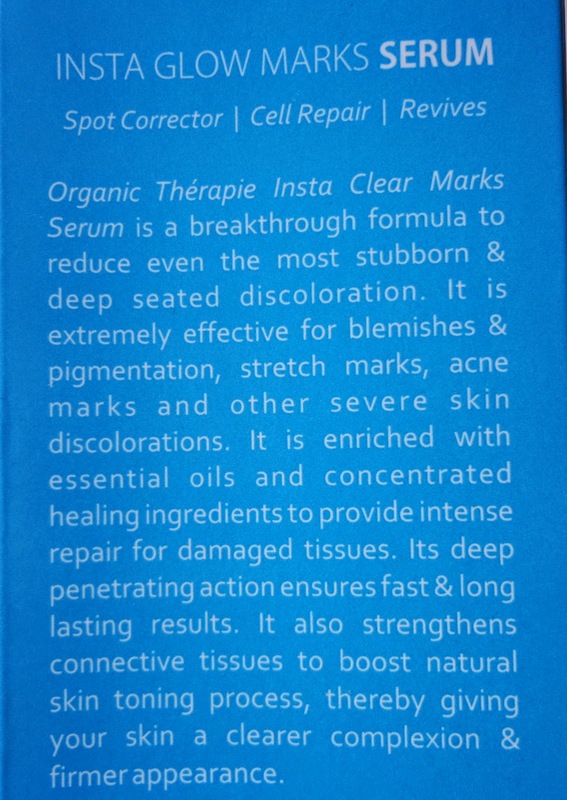 Final Conclusion about Organic Therapie Insta Marks Serum : It is a light weight serum which is suitable for combination to oily skin people.For those having black spots or marks as the major concern should definitely try this!! !